After you place your order, contact us through Etsy email or Text us at 714.227.8735 or put info in "Note to Seller" field box and let us know your "diploma size," "gold or silver engraving" and "personalization info"
♥ Personalization up to 3 lines on a Silver or Gold Engraving Plate in Old English Font (School Name Prohibited due to copyright). Engraving plates are custom sizes so it depends on your personalization however most engraving plate sizes are 4"W x 1"H.
Honorable. 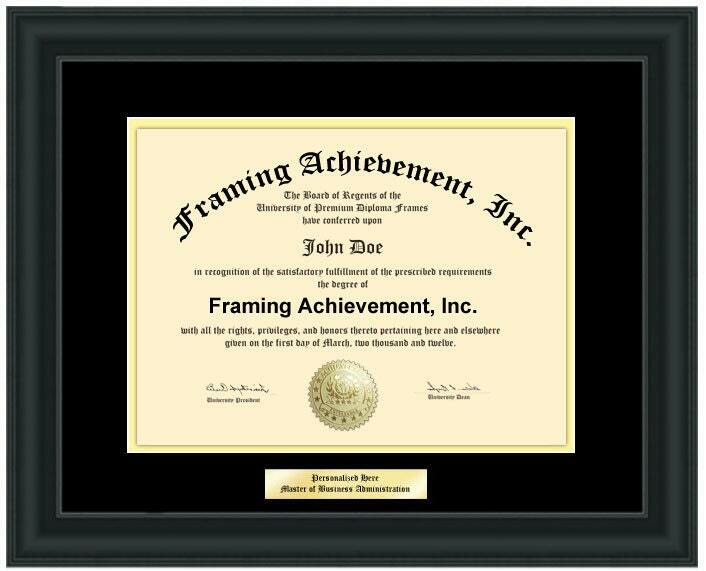 Stunning and Elegance, AllGiftFrames distribute quality graduation double-matted degree frame gifts, engraved plaques and certificate frames using state-of-the-art quality control concepts to display your success. 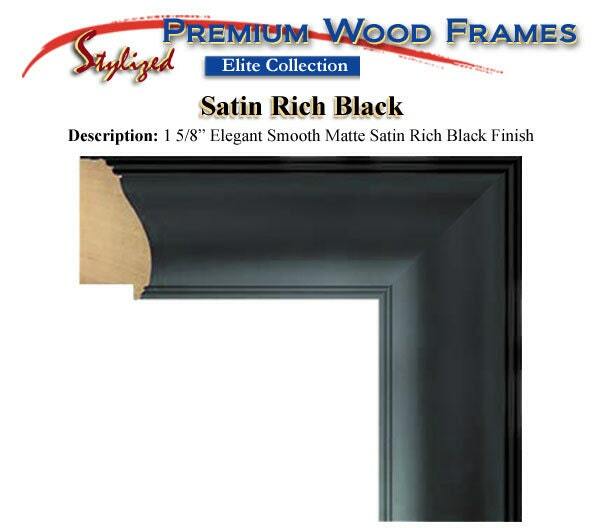 We build many wood customized university diploma frames with gold or silver engraving plates. 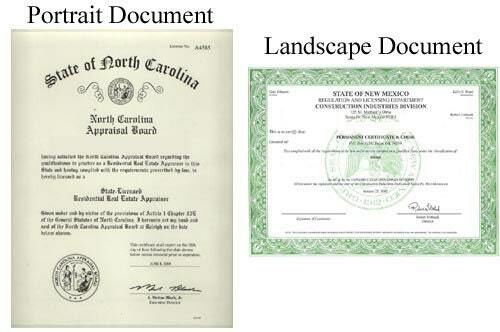 Double-matted degree collegiate certificate framing services for your college graduate. 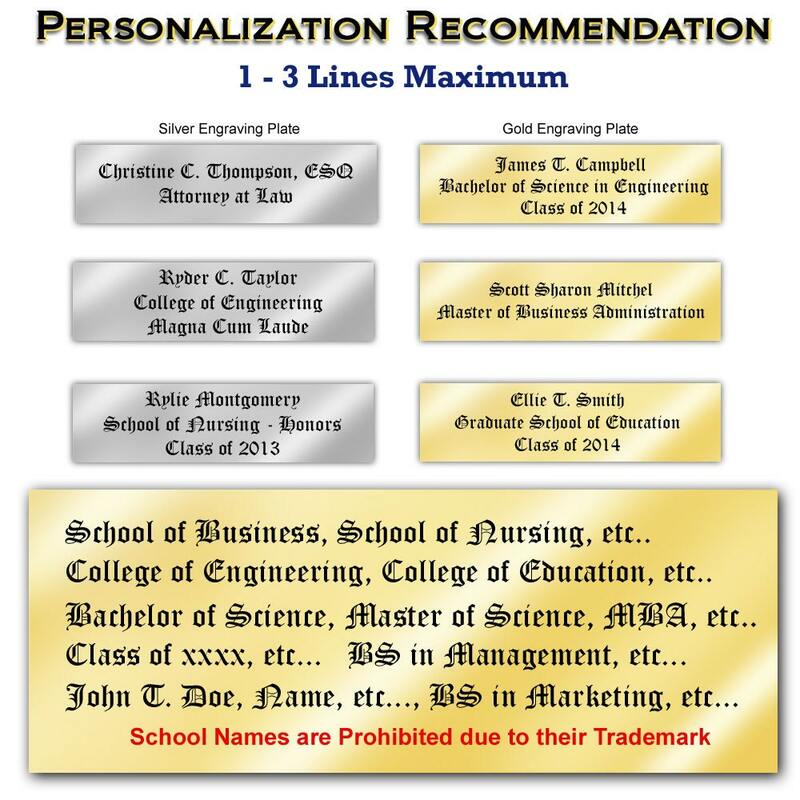 These personalized engraved graduation frames are unique gifts for high school and professional certification graduates. Whether graduating from nursing school or law school, build beautiful personalized engraved frames at our universty degree store. 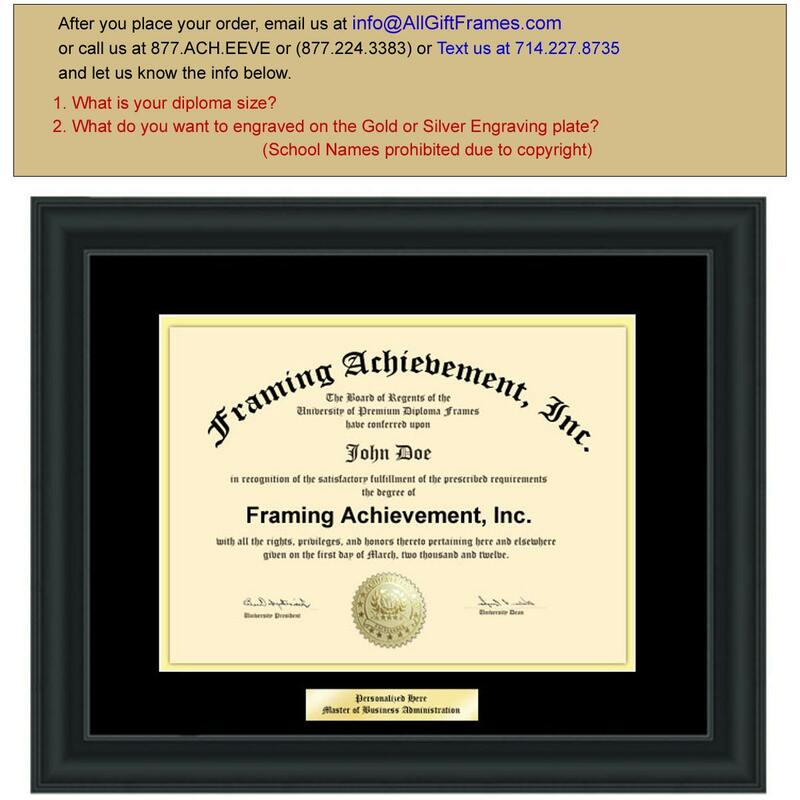 Personalized college diploma framing and certificate plaques with distinction by AllGiftFrames.